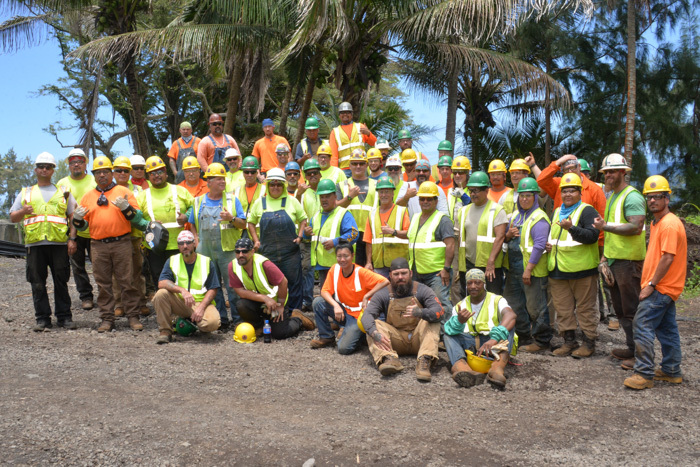 L-627 members and travelers working for AZCO build a eucalyptus-fueled biomass plant on Hawaii’s Big Island. Members on the day shift flash the Hawaiian “shaka” salute, a universal sign for peace and harmony. The Boilermakers’ scope of work includes the boiler and components along with environmental systems and tanks. 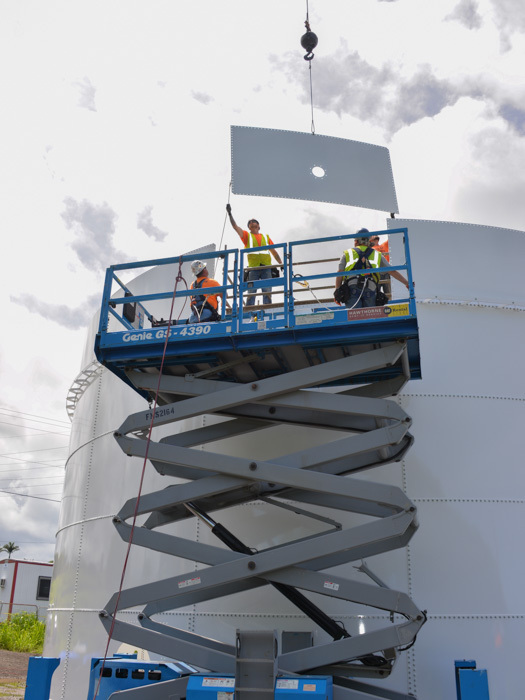 Boilermakers working for T. Bailey Inc. erect a water tank overlooking the biomass plant. A Local 647 (Minneapolis) traveler welds tubes on a header. Rodney Hoschain, L-627, builds a bracket for the “bull nose” section of the boiler waterwall. Marcus “Porky” Petropoulos, L-627, job steward. Al Sullivan, L-169, project superintendent. THE LAND OF aloha, palm trees and blue waters — as inviting as tropical paradises can be — has held some unexpected challenges for Local 627 (Phoenix) members and travelers from across the country as they build a eucalyptus-fueled biomass power plant on the island of Hawaii (the Big Island). Located just north of Hilo, in Pepeekeo, the project site sits less than 40 miles from Kilauea, the erupting volcano that has destroyed hundreds of homes and forced thousands to evacuate. During the day, workers can see plumes of ash and steam in the distance; at night, a glow of red hot lava. The eruptions sometimes produce earthquakes that leave workers at the plant holding tight as structures sway and shake. And in August, workers found themselves hunkering down as Hurricane Lane brushed the Hawaian Islands, causing major flooding and landslides. Natural disasters aren’t the only surprise. Boilermakers who were onsite in January also had to deal with stress caused by the infamous false alarm warning of an inbound North Korean ballistic missile. All in a day’s work, say some members at the site, with a wink. Despite volcanic eruption, earthquakes, a hurricane and a missile scare, Boilermakers there (about 130 at peak) drive on. They’ve adapted to safety briefings that include disaster evacuation routes (and the avoidance of poisonous centipedes and aggressive, hand-size cane spiders). And in a climate that produces over 120 inches of precipitation a year, working in the rain is just part of the program. 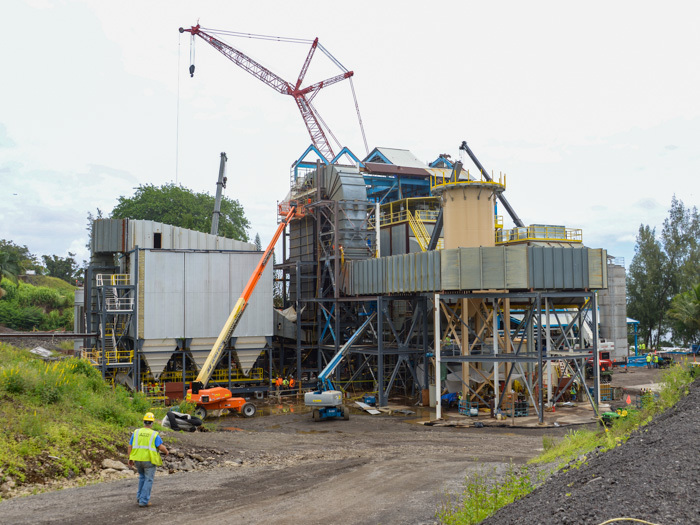 Boilermakers at the biomass project understand they have a job to do, and a unique one at that. 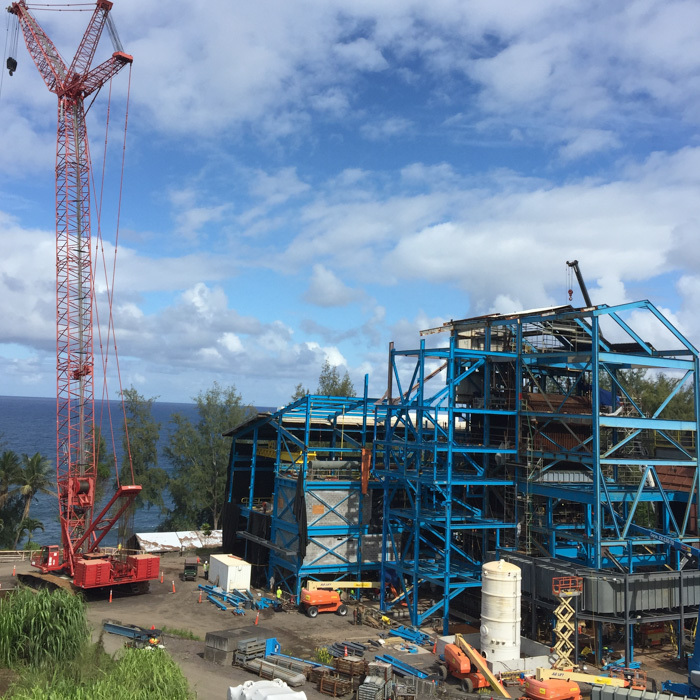 The work involves retrofitting an idle coal-fired power plant that once supported a sugar mill to one that will burn eucalyptus trees to generate electricity for Hawaiian residents. Thousands of acres of the trees stand just a few miles up the road. Non-native to the islands, eucalyptus trees grow tall, straight and fast; they can be harvested just seven years after planting. When the project is completed, the trees will be cut, trucked to the plant and ground into fuel-sized chips. Replanting will ensure an endless source of renewable energy, according to the project owners. 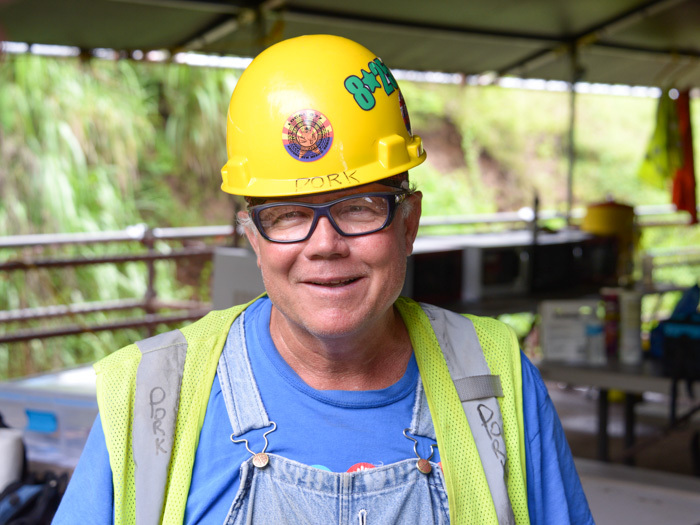 Boilermakers are working for AZCO, the prime contractor hired by Honua Ola (“Living Earth”) Bioenergy, formerly known as Hū Honua Bioenergy, with the goal of generating 34MW of electricity for customers of Hawaii Electric Light. The project is part of Hawaii’s effort to reduce its dependence on fossil fuels, especially diesel oil. The Boilermakers’ scope of work consists of rebuilding the boiler and related steam components and systems, including a new bag house, precipitator, selective catalytic reduction unit, tanks and structural steel and ductwork associated with the pressure vessels and emissions process. Those delays resulted in tubes and other components being exposed to the elements. Inspecting parts and removing rust is a substantial and ongoing effort. Boilermakers are doing good work in a tough environment, says Al Sullivan, project superintendent from Boilermakers Local 169 (Detroit). With the many challenges onsite, safety has been especially important. 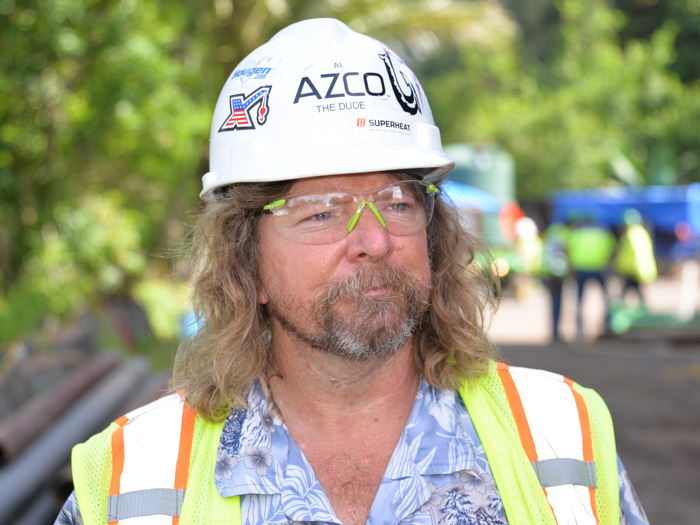 “AZCO is by far the best company I’ve worked for as far as safety,” he says. 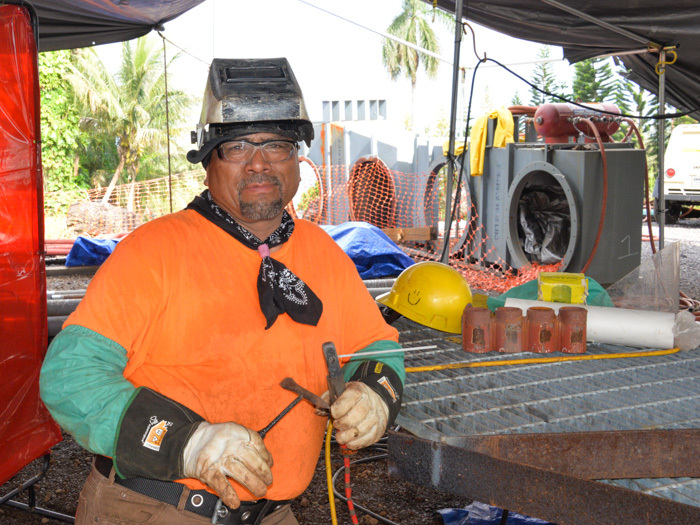 Another distinctive aspect of the project has been the diverse mix of backgrounds the Boilermakers and other trades bring, including native Hawaiian, Navajo from Arizona and other races and ethnicities from across the nation. Cultural differences have not been an issue. 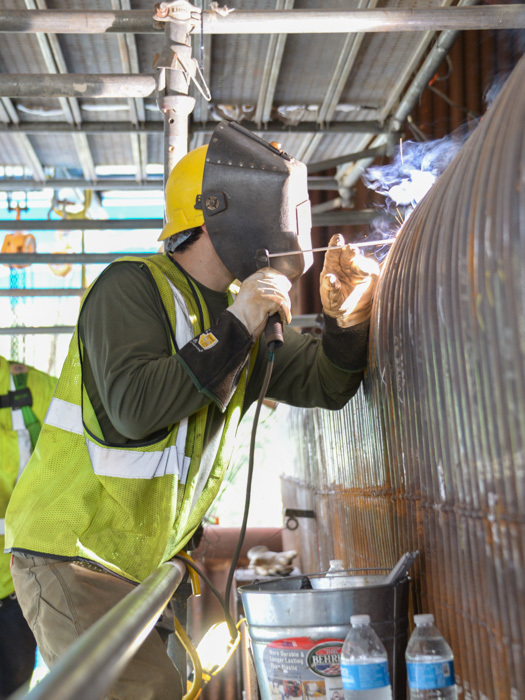 According to L-627 job steward Marcus “Porky” Petropoulos, the Boilermakers and other crafts all mesh well together in facing the many project challenges. The Honua Ola project is scheduled to be completed by the end of the year, assuming, of course, the cooperation of Pele, the Hawaiian goddess of volcanoes and fire.